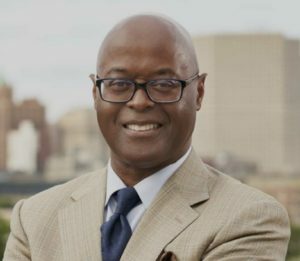 MILWAUKEE – Earnell Lucas, newly elected Milwaukee County Sheriff, will be the featured speaker at a Newsmaker Luncheon, hosted jointly by the Milwaukee Press Club and WisPolitics.com, on Wednesday, December 5. Lucas, who was elected November 6, currently serves as Major League Baseball’s Chief Liaison of Security & Investigations for the National Association of Professional Baseball Leagues. He previously served as the Vice President of Security and Facility Management, charged with overseeing the security operations for Major League Baseball, and the Supervisor of Security for former Commissioner Allan H. (Bud) Selig. Lucas, a 25-year veteran of the Milwaukee Police Department, retired at the rank of captain. He will be inaugurated to a four-year term January 7, when Acting Sheriff Richard Schmidt leaves office. Lucas will take questions from a panel of journalists and from the audience at the luncheon, set for 11:45 a.m. to 1:30 p.m. at the Newsroom Pub, 137 E. Wells St.
WisPolitics.com joins the press club for this luncheon as part of its ongoing event series in Milwaukee, sponsored by UW-Milwaukee, Wisconsin Academy of Global Education and Training, ELEVEN25 at Pabst, Milwaukee Police Association, The Firm Consulting, Medical College of Wisconsin and Spectrum. Where the only thing that’s dead is the cat.